Can anything be better than trying out beaches for a lifestyle choice? I don’t think so. For the last year, I’ve been searching the world for the perfect place to spend my retirement years.At 64, I’m living off my Social Security benefits, so the search has been truly meaningful, but also laidback, as I’m having such a good time conducting this search. In Costa Rica, I’ve dived in—literally—at a number of different beaches on the country’s north Pacific coast over the past few weeks. And it’s safe to say, there is something for every kind of beach lover along this coastline. I began my “research” in Playa Brasilito, a tiny town situated on a 1.2-mile long, nearly deserted beach. It is definitely on a growth curve with an 85-lot gated community under construction and is no more than a five-minute walk from the sea. And it’s affordable with a furnished studio apartment renting for about $200 a month. The town square occasionally hosts grazing horses as they wait for tourists to request a mount. ATVs are a big attraction in Costa Rican beach towns so legions of them often line up there as well. 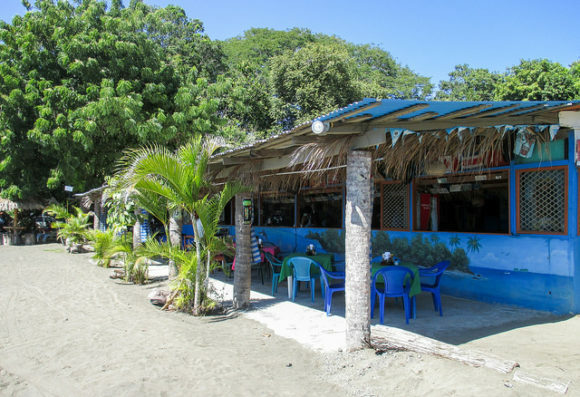 There are several dining options, from authentic Tico (Costa Rican style) food, to gourmet offerings. I had one of the best meals of my life here; a Portobello mushroom and mozzarella quiche, accompanied by a huge side salad, and an ice cold mocha for $14. Another day, I split a huge appetizer of sumptuous sea bass ceviche with my friend for just $3 each. Hands down, this is the most beautiful beach I’ve come across in my life. 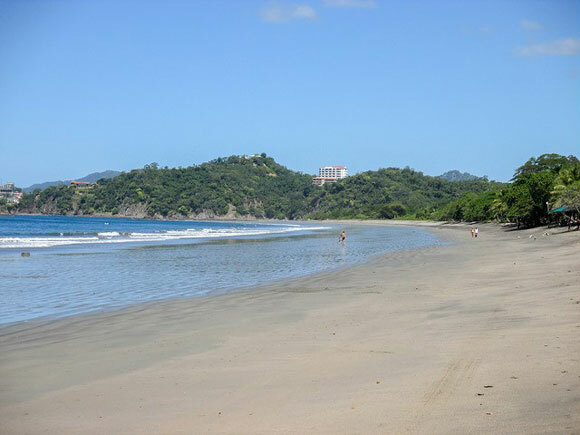 Playa Grande is burrowed into a corner of the coastline. It’s a surf beach and if you’re looking to have a morning surf before you begin your day, this is the place for you. Surfers, young and old alike, flock to Playa Grande’s white sand and numerous waves for their thrill of the day. The owner of the hotel I stayed in is a 45-year-old transplanted Italian and now an avid surfer, although he wasn’t one before he bought the place. This is also a beach community on the rise. There are several hotels and nice restaurants. Growth is slower here than in other places, but there are residential lots for sale nearly everywhere you look. You can find a lot in a gated community for $150,000 or a three-bedroom, one-bathroom house within walking distance of the beach for just $65,000. Playa Potrero has a real neighborhood feel to it and it’s the place I’ve decided to spend a month. There’s plenty to do here with live music nearly every night, monthly bingo, and trivia games. The town also has a small selection of restaurants, three little grocery stores, and, of course, the beach. I’m staying in a lovely home with a Tico couple while I’m here and it’s costing just $315 for a large bedroom and a private bathroom. The same property has a furnished one-bedroom apartment for which the full-time tenant pays $250 a month. Looking at places for sale in the area, I came across a one-bedroom condo in community with pretty gardens and a pool for $60,000. 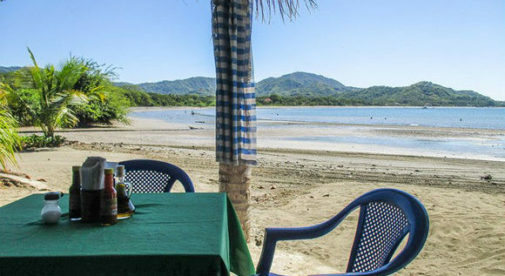 The great thing about all three of these little communities is that they’re within 15 miles of Playa Tamarindo, which has plenty of bars, restaurants, and grocery stores.